There may come a time when you want to move big files between your phone or tablet — and not over a wireless connection. Maybe the files are huge and your network is slow, maybe there’s no secure wireless network available or maybe you want the privacy and intimate connection that only a USB cable can bring to the computer-mobile gadget relationship. If you use a Windows PC and have phone or tablet running a fairly recent version of Android, you pretty much just have to find the USB cable that shipped with your device and connect the two. Windows recognizes the Android gadget and usually gives you a choice of USB connection types: MTP, or Media Transfer Protocol is the one you want. 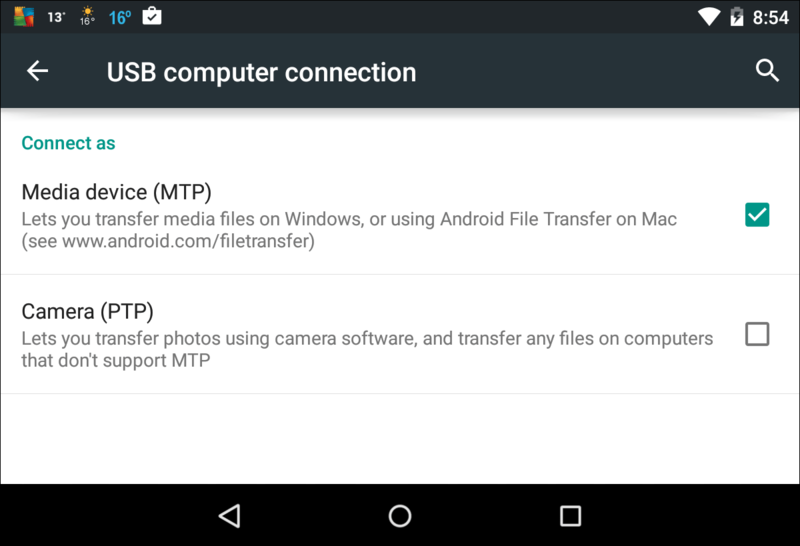 Your other option is PTP, short for Picture Transfer Protocol, and yes, you can use that to pull photos off your phone or tablet if your computer’s operating system doesn’t support MTP. Don’t like what you see? Go shopping. 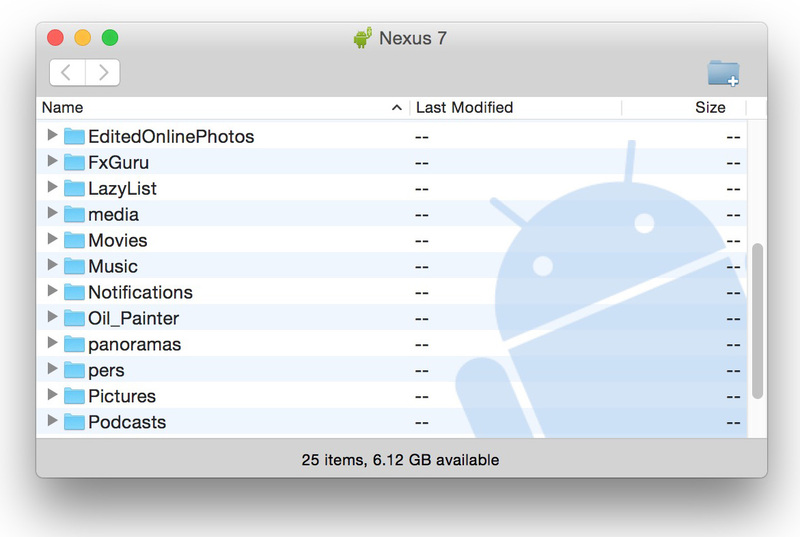 On the Android, side, file managers have been around for year, thanks to Google’s more open approach. One of the more popular Android-side apps, ES File Explorer, can also move files to Windows, but you can find plenty of apps in the Google Play store. 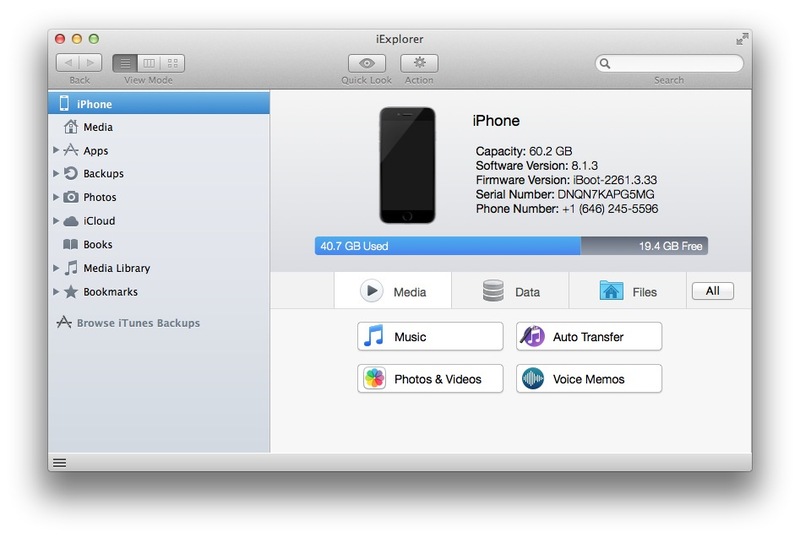 Now, as for iPhones, iPads and iPod Touch players, there’s the fact that Apple keeps the iOS system largely hidden. Sure, you can sync over photos, videos, documents, apps and music by using iTunes for OS X or Windows, but not everybody likes or uses iTunes. In that case, you, too, can find third-party apps and programs that let you do a deeper level of file management. Just rev up your search engine. Although it’s a little spendy, there’s iExplorer for Windows or Mac (shown here), which lets you move not only music and movies between device and desktop, but other stuff like your iPhone’s text messages and voicemails. TouchCopy for Windows or Mac can harvest most of the content off your iPhone, iPod Touch or iPad and pull it over to the computer — there’s a demo version and the full one runs between $25-$30, depending on if there’s a sale. You may not need to whip out the USB cable for every little thing, but it sure comes in handy when you want to move that 500 megabyte home-ripped video file from your computer to your mobile device before you hit the road. And since the same cable is often used to charge up your phone or tablet anyway, odds are, it’s close by. Have fun slingin’ the files!